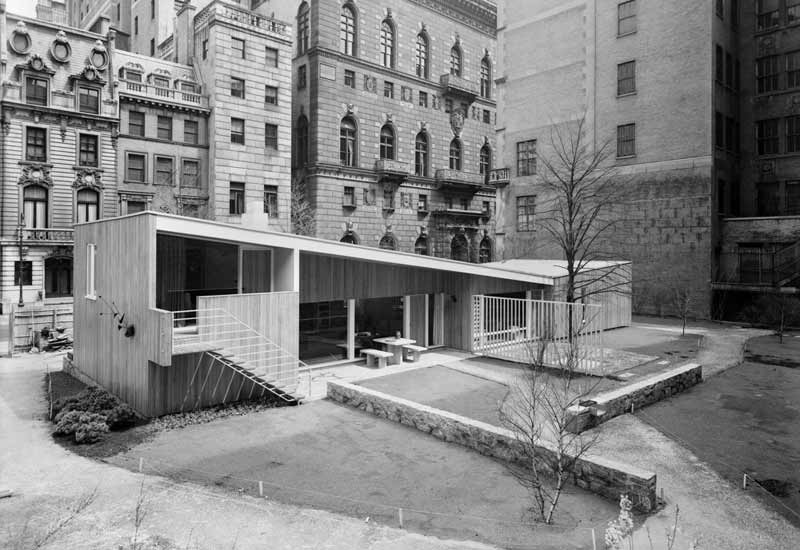 Originally designed by Marcel Breuer and named the Butterfly House, this house was built in the garden of Museum of Modern Art in 1949 as a prototypical house for a family of four. 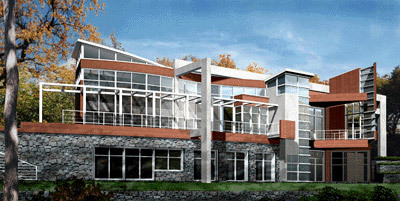 In 1951 it was disassembled and rebuilt in Chappaqua. KOHN ARCHITECTURE was asked to expand the house for a growing family and renovate the outdated existing systems. Besides the historic nature of the house design, it also fell within a protected wetlands sanctuary administered by the Audubon Society of New Castle, New York. The first issue that needed to be addressed was a wetlands mitigation and planting plan within a very sensitive area. Additionally the septic system needed to be expanded. 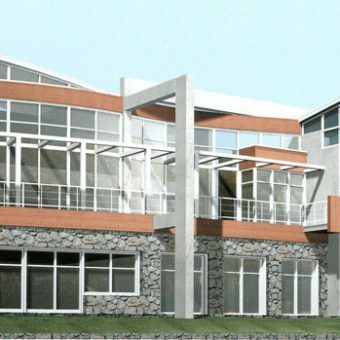 Kohn successfully designed these plans and got them approved, paving the way for the rest of the project to proceed. The client’s main request was that the beauty of the wooded lot be protected and that it be experienced as much as possible, both within and from outside of the house. This was accomplished by providing windows that opened facing the entire back of the property. The house is built up on a stone base that roots it to the existing site, much as Breuer used existing dramatic stone outcroppings to determine the site placement of the house. 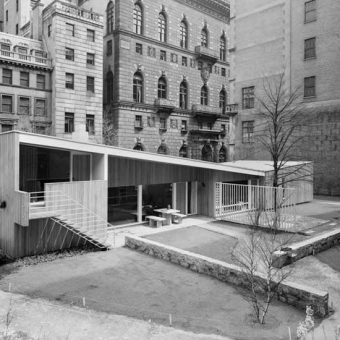 The main Breuer house has been completely retained so as to preserve the historic value of the house. The addition reveals itself only when one begins to walk around the house. 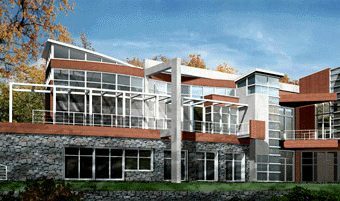 It includes two new bedrooms, master bedroom and bath, kitchen, dining room, playroom, radiant heated stone floor throughout and an indoor swimming pool in the lower level. The interior and exterior materials used are the same materials used in the original house. They blend the structures together in a way that both enhances the original and ties the new back to its historic structure.